If you’ve got photos from a ‘glamour’ event, have I got a layout for you! Dean, our youngest son, had his school ball 2 weeks ago which was themed Starry night, so I had a few photos from the event (thanks to Cactus Photography). 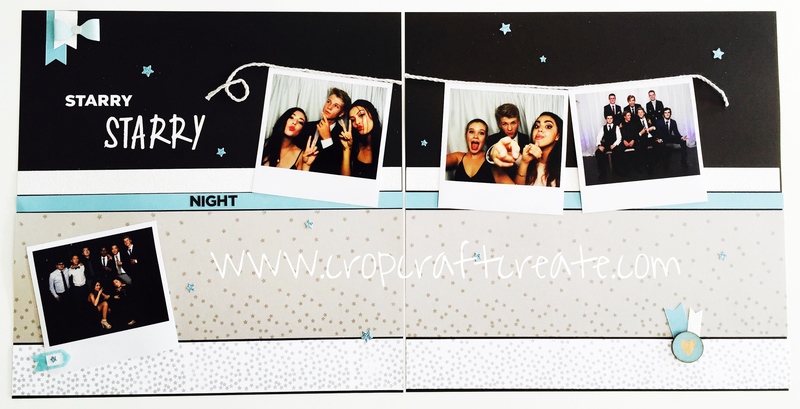 Photo booths are definitely ‘in’ right now! Then someone shared a photo of a layout from our US convention – that I absolutely fell in love with. I’m not sure whether it was a page created by our design team, or by a consultant, so unfortunately I can’t credit the original creator that sparked my page, but I am nevertheless grateful. As soon as I saw it I knew it’d be perfect for the ball photos. Isn’t it cool?!! (LOL, am I allowed to say that about my own pages??) 🙂 I just love it. I had the photos printed at my local shop using the ‘instax’ option 4×4 – to give the ‘polaroid’ look that totally works with the photo booth photos. I took the page photo before I did my journalling, but I have now written underneath each photo – I love how these just provide the perfect spot for journalling on each one. The photos are all ‘tied’ together with our lovely whisper twine, for that added texture on the page. 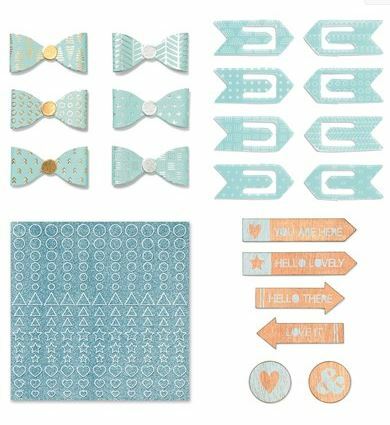 I’ve used two different fonts for the titles – the large ‘starry’ is cut from my Cricut using a sheet of white glitter paper , the other titles are stickers from the Fundamentals Stickers Basics Pack – these packs have SO much in them, for just $12. I really like the basics pack also, because along with the gold and black, you also get white stickers, which I often colour with my shin han markers to give me a full range of colours. The final accents were all created using the Fundamentals Glacier pack, check it out below, it also has a lot in it for a great price. If you’re coming to SENZ this weekend, you can check it out in person – as always, it looks even better in ‘real life’!